The business customer today has different challenges, motivations, and needs than those who needed simple Plain Old Telephone Service (POTS) back in the day. 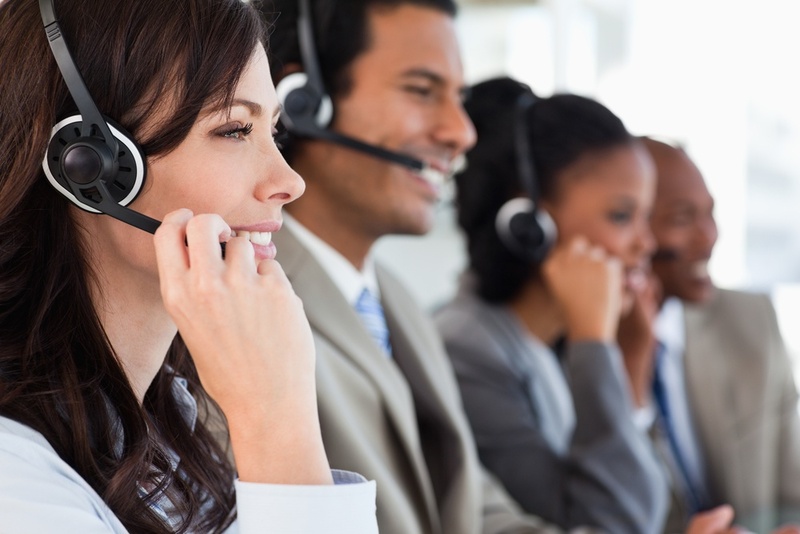 Luckily, voice resellers have a wide array of products that can help them meet those needs. Cloud-based VoIP and unified communications technology comes packed with diverse features, new levels of scalability, and meets world-class reliability standards. But the customers don’t know that. SMB and enterprise customers know more about the pain they’re experiencing. The best way to turn them onto your product is to remind them of that pain, then present a solution while it’s fresh in their minds. This tactic works best because emotion is often a more powerful motivator than logic. In this article, we’ll explore a few questions that trigger emotional reactions and help you convey the true value of your voice solution to the customer. The most important thing to remember is that the customer isn’t buying the voice system or platform, they’re buying the solution. What makes up that solution? It’s not just features. It’s the support they gain from choosing you as a vendor, the options and flexibility that can be customized for their business, and ultimately the freedom from worrying about their voice functionality. What will happen tomorrow - can they grow? Although those are some common pain points, they aren’t in any order of importance. Your goal heading into the sales call is to identify which one will lead them to a decision. The following questions will help you discover that information. Remember, these questions are meant to do two things: trigger an emotional response, and provide an opening for you to reinforce the value of your voice service. You may use just one or all of them during your conversation. However, always make sure you do your research beforehand to keep the call relevant to the customer’s needs. Price is often the only conscious motivator for certain telephony customers, so it’s a good place to start your call. We say “conscious” because it’s very easy for anyone to evaluate pricing. On the other hand, it may be challenging to see bigger picture benefits like productivity enhancements or scalability options. You should certainly work your way up to those, but occasionally you’ll close someone just by lowering their bill. Obviously if your platform is not especially price-competitive, you may need to get creative about how you address this topic. Go into the call armed with knowledge about the capabilities of your top competitors. When the customer cites a particular feature they like or dislike, you can easily build rapport because you’ll have context around that feature. You can also prepare some canned responses about how your product builds on things they like, or eliminates things they don’t. Regardless of how many customization options there are or how great the UI is, a voice platform that doesn’t work when the customer needs it to is worthless. By emphasizing reliability, you instantly make yourself competitive. Discussion regarding reliability also tends to direct the conversation toward technical capabilities of the product and the supporting infrastructure you provide to the customer. Smaller businesses frequently use gatekeepers, like engineers or business development directors, and it’s important to demonstrate expertise to gain trust from those groups. That way, you can have buy-in from someone at the company, which only helps your case once you get to the CEO or CFO making the final decision to buy. Unless business leaders have some inside information from Wall Street mathematicians, they all innately hold some anxiety about market fluctuations. That’s because when markets change, profits change, which leads to decisions about growth or downsizing. Those are sometimes gut-wrenching decisions. If your voice system can scale up or down at the snap of a finger, it’s one less consideration - and one less stressor - for those leaders. Even if your voice system works well, and the bill is reasonable, there’s nothing to stop a competitor from developing a similar product, compromising or undercutting you in one aspect, then stealing that client. The only thing that can stop them is what makes your business unique: the services you provide. Customer support is the key to retaining clients across the board because stellar support makes for happy customers. Get together with your support team leaders and learn what they do to support customers. How many tickets do they resolve per account? How quickly do they respond to those tickets? Are there standard certifications or achievements in education that validate your team’s expertise? Make those obvious to your customer, and assure them that when times get rough, your team will keep their voice systems going. Looking for a platform to back you up? Look at KAZOO. 2600Hz built the KAZOO platform specifically to allow VoIP resellers to tailor their platform and match what their customers demand. Leverage more than 150 APIs and countless applications to better manage, support, and enable your voice customers - no matter the size. Scale up, scale down, and even put the customer in the driver’s seat for true control. And it’s all backed by the geo-redundant 2600Hz network that leverages top-tier carriers and a 99.999% uptime guarantee. Ready to get out there and sell some business VoIP? We’ll give you what you need. Contact us today to demo KAZOO and explore the benefits of becoming a reseller.